Here at MGV we love an excuse to get crafty around the house, and Christmas is our chance to cover everything in prettiness! 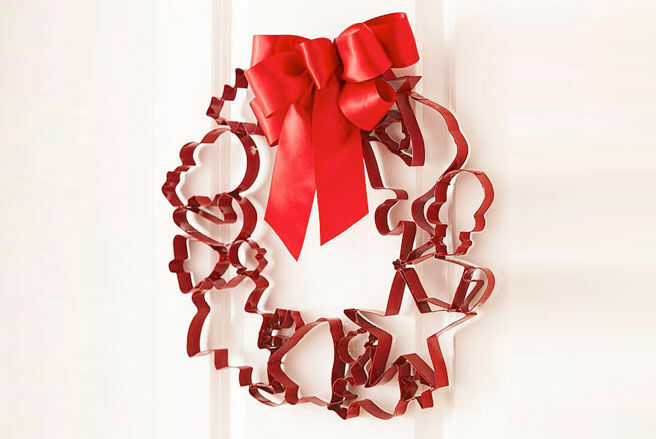 Give family and friends a warm welcome with a wreath they’ll want to take home. Glue guns at the ready, here are 15 DIY Christmas wreaths to get everyone in the festive spirit! 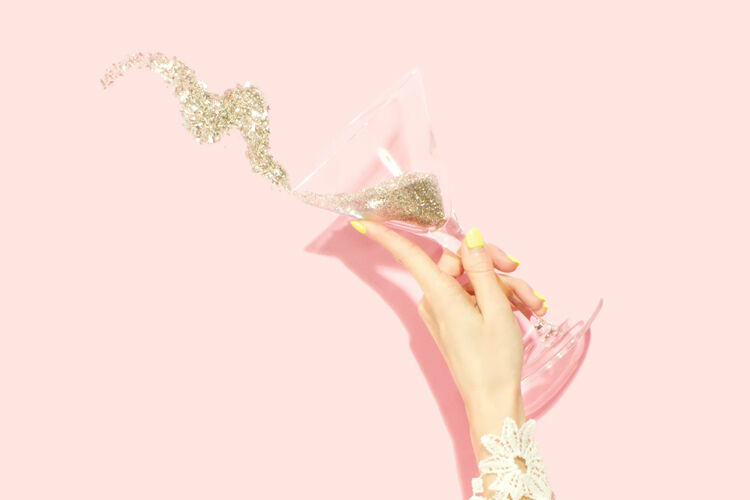 Not one for tinsel and glitter? 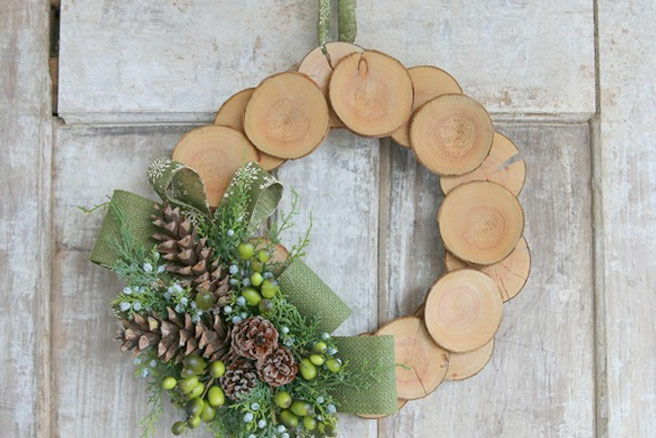 This wood slice and burlap wreath from Finding Home Online will suit you down to the ground. 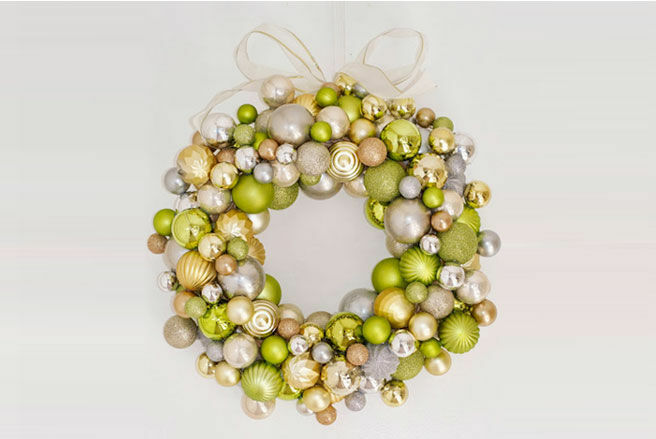 Laura and Dana have two different styles to choose from, so whether you’re going green or wanting a white wonderland, there’s a style of wreath to suit the rest of your festive decorations. 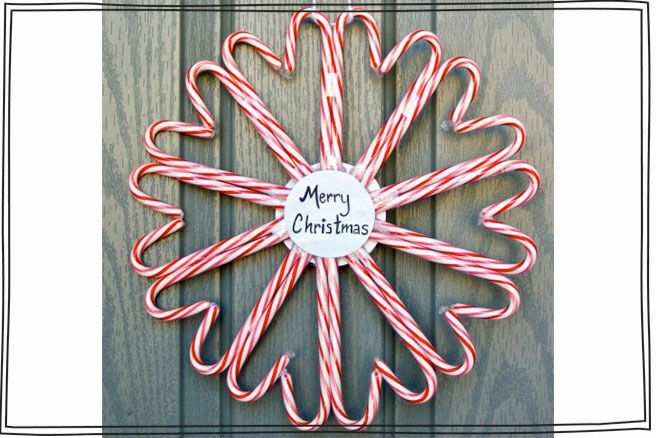 Making a Christmas wreath can be a fun craft activity for the whole family with this idea from Swagbucks. Have a hunt around the local op shops, pick up a bunch of Christmas cookie cutters and glue together to form a festive feast for the eyes! Tip: make a batch of cookies beforehand for the craft snack attack! Yum! If you like to go a bit OTT with the giftwrap before Christmas, here’s an idea to help you put use to all those bows left over. 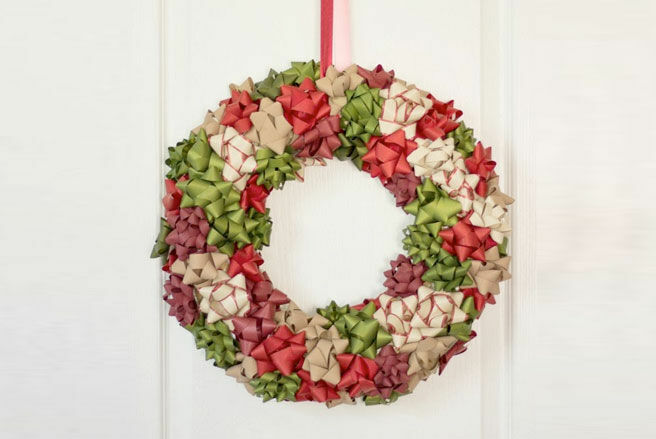 This super quick and easy tutorial from Design Improvised will give you a Christmas wreath in less than 30 minutes. 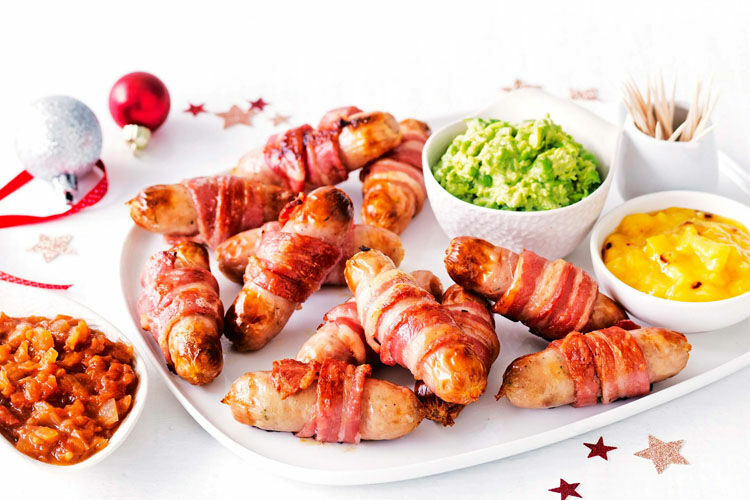 We love a playful twist on an old favourite! 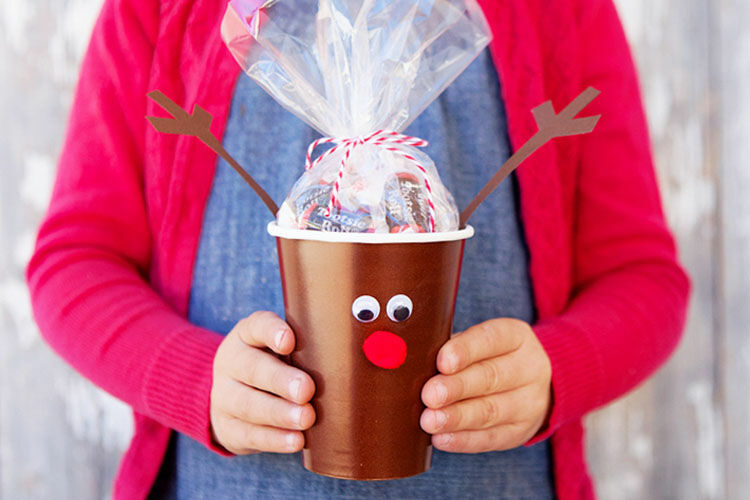 Spread the scent of Christmas with this awesome idea from Food Network! 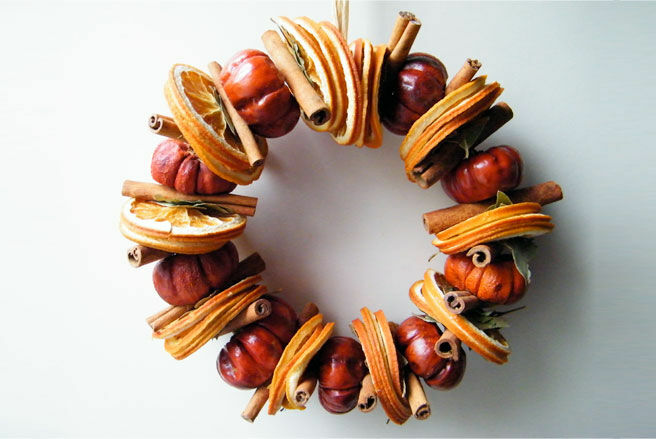 Pick up a pack of cinnamon sticks in bulk from any wholefood supplier then simply stick onto a wreath. 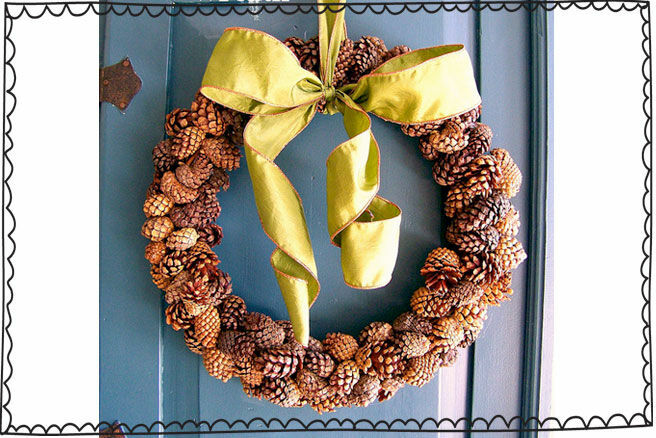 This rustic wreath will keep the house smelling sweet well into the New Year. 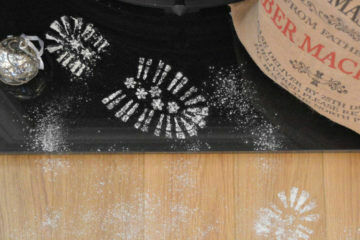 Take Christmas inspiration from the crafty lady at Here’s 2 U Mrs Robinsn. 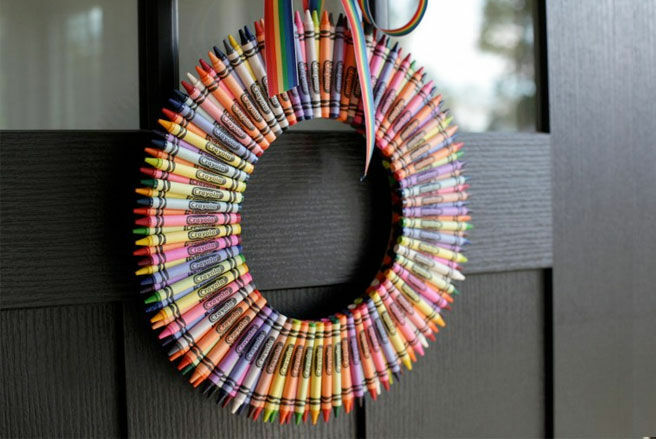 This crayon wreath is a great craft activity to do with the kids and they’ll love hanging their masterpiece on the door when it’s all finished. 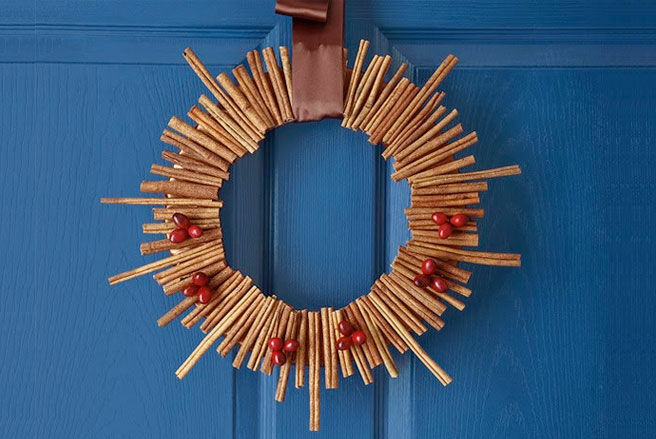 Take your festive feast to the front door with this nutty idea from Better Homes & Gardens. 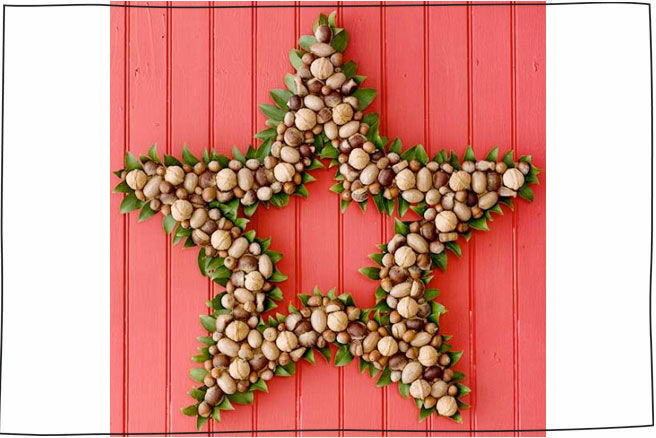 Simply wrap a star shaped wreath with ribbon and glue your selection of nuts in place. Add bay leaves to the back like these guys did for a contrast in colours and texture. 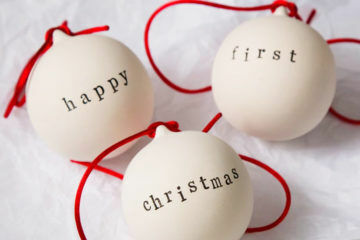 If you couldn’t resist buying sparkly new decorations this year, here’s a tip for last years baubles! 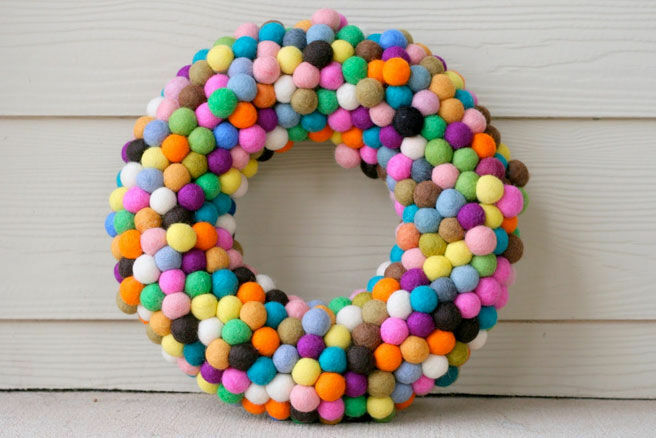 Live Love DIY used Christmas ornaments to create this colourful wreath, and we think its spot on! 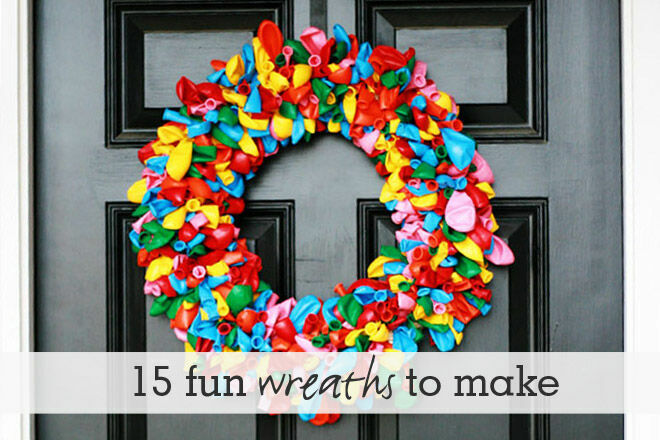 She Makes Pillows turns the traditional Christmas wreath into a felt ball frenzy! Be warned, there’s lots of stitching involved with this one, but if you’re after something to wow the neighbours we think it’s totally worth it. 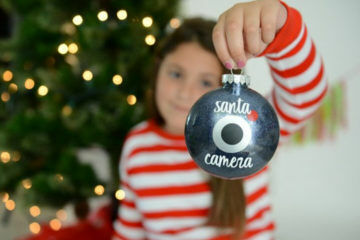 If you’re after something a little more personal, take a look at this beautiful idea from Infarrantly Creative. 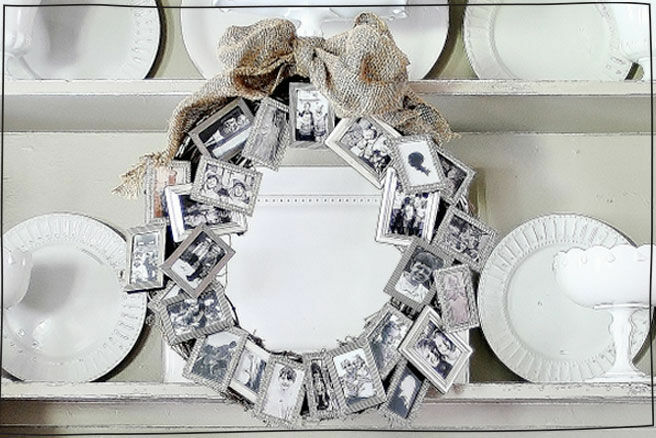 Collect your favourite pics from the family album and arrange around twine wreath. Frame them if you can to avoid damage to the photos and the sentimental styling will be a family keepsake for years to come. Hi Sugar Plum used store-bought goodies for this rustic wreath but we say get the kids outside for some foraging fun! Spend the morning finding pinecones in your local park and your afternoon can be dedicated to creative Christmas crafting. Here’s a cute little tutorial from Bags and Buds. 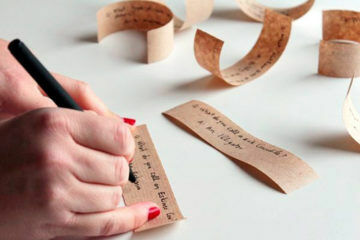 If the house is slowing filling up with unwanted reads, it’s time to roll the pages! 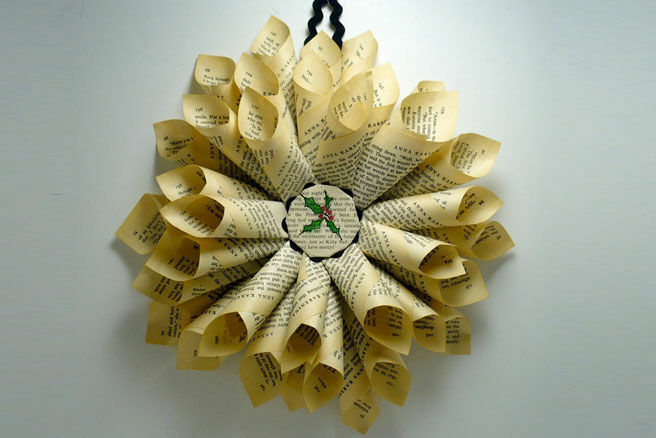 The book page paper wreath may be a lot smaller than others but looks fab on bedroom doors or over the mantelpiece. Beautiful Nest has a wonderful idea for any fabric lovers out there. 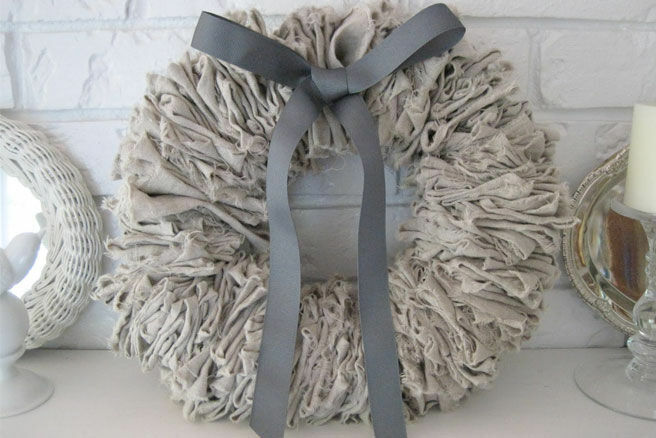 This gorgeous linen wreath takes quite a bit of fabric to make but golly we love it! Jenni’s step-by-step tutorial will have you hanging this beauty at home in no time! Deck the halls with a festive aroma by making a naturally scented wreath! Dried Flower Craft used oranges, bay leaves, mini pumpkins and cinnamon sticks for this colourful creation, but you could mix it up with flavours of your childhood Christmas’s. Think cranberries, nutmeg, star anise and cloves. Delicious! 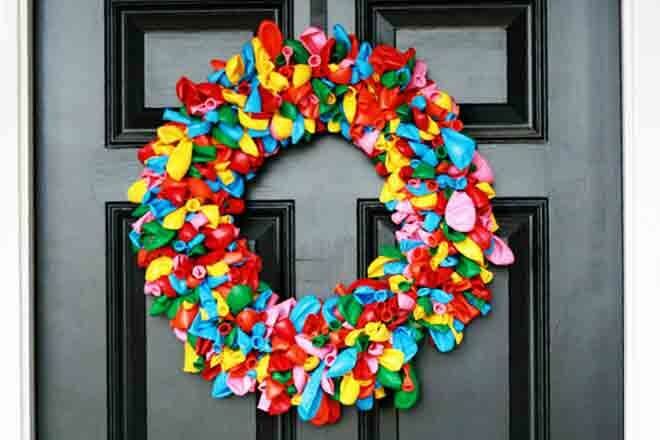 Everyone loves balloons, and How Does She has come up trumps with this eye-catching bundle of colour to hang on your door. 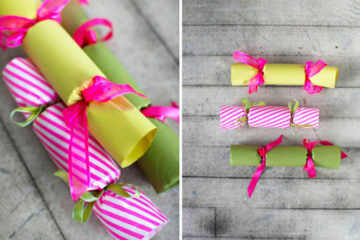 Not only is it super simple to make, you can bring it out year-round at every birthday party! Double win! 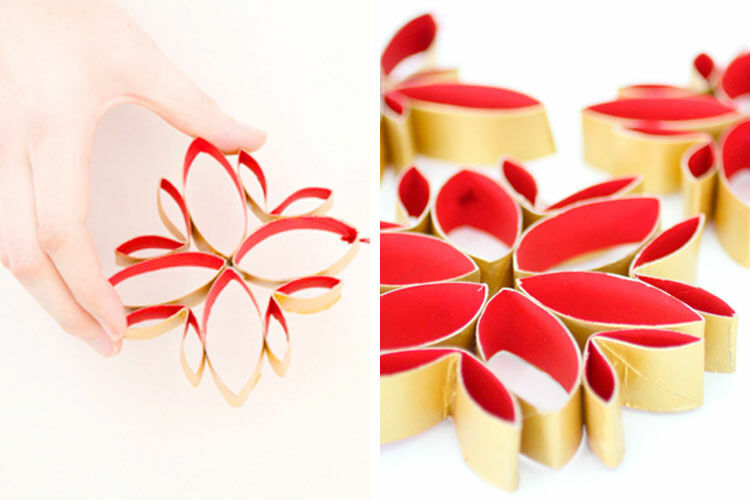 Looking for more Christmas craft inspiration? 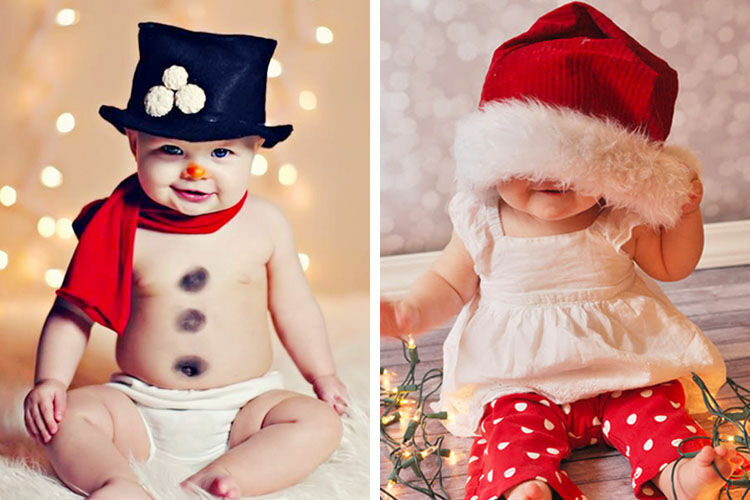 Here are a few more festive articles that may take your fancy.